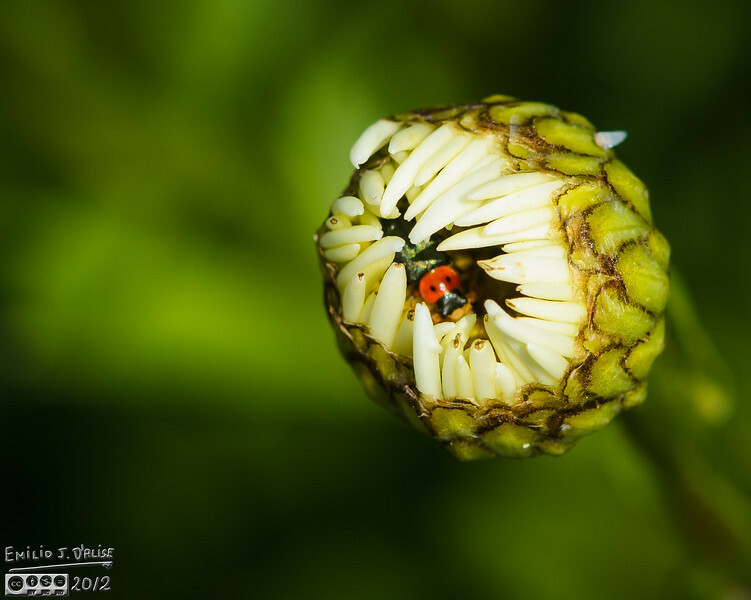 When I snapped this shot I thought that was a Lady Beetle in there . . . it's not. This is another one I could not identify. It looks like some sort of Superb Plant Bug, or other beetle, but it's not like anything I've looked up. I dub thee Catturata Idiotica.